An incredible evening of hilarious comedy and Broadway hits! "The fastest-selling show in our 15 year history! The feedback about the show was tremendous and overwhelmingly positive and reflected back on our event in a way that is immeasurable!" Join us for this incredible event!! Michael Walters is back at Luna Lounge for the THIRD TIME!! We are delighted to have Dame Edna with us this season with her sharp wit which will keep you laughing from start to finish. 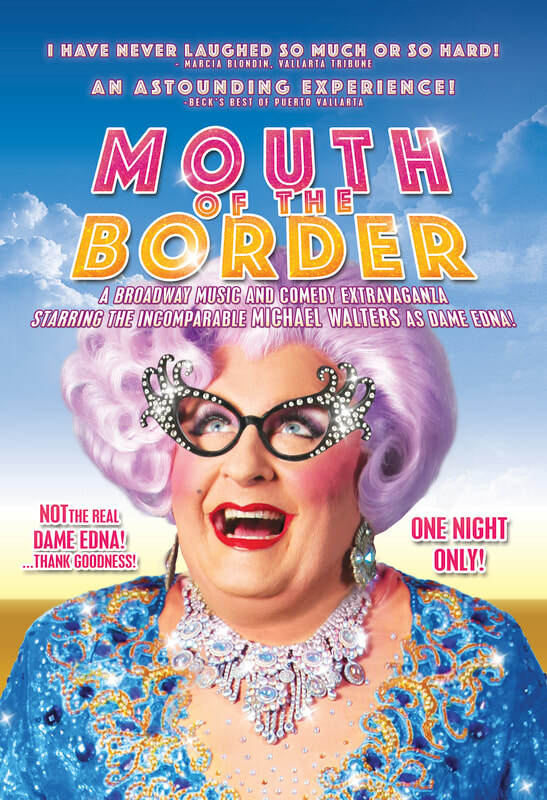 Not only is Michael the world's number 1 Dame Edna impersonator but he is also a very accomplished Broadway singer and he brings the greatest hits of Broadway to the show. This is one show you will not want to miss. Get your tickets today! !